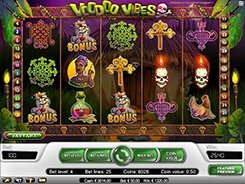 Voodoo Vibes is a nicely designed voodoo-themed slot played over 5 reels and 25 paylines. With its transparent reels, the game gives the feeling that you are at an African village. The symbols fit well within the slot and include potions, hens, voodoo dolls, snakes, skulls, etc. 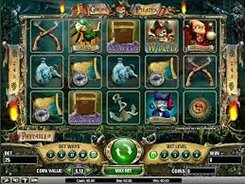 A wild symbol that substitutes for other non-feature icons is represented by the Voodoo Master that is also the biggest payer in the game awarding up to x7500 times a line bet. 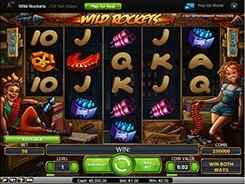 A scatter which is the Snake in this case activates 10 free spins if these three land in any place on the reels. Besides, five scatters pay out your total bet times x100. 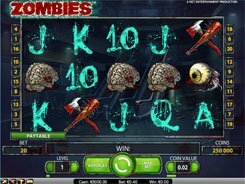 During the free spins all payouts are tripled. 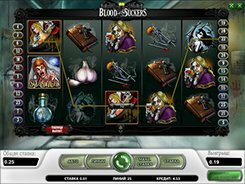 There is also a second-screen bonus game unlocked by three Voodoo Doll symbols. 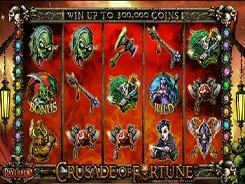 Should this happen, you will be prompted to stick the pin into any of the twelve voodoo dolls and get a cash prize. The feature continues until you find a doll that does not award a prize.